It’s silly to try to name the Greatest Magician Ever, even if you break it down into subcategories like Grand Illusionists, Escape Artists, Mentalists, Comedy Magicians, etc. Yes, there are competitions held each year at which magicians win prizes and honors, but comparing artists of any kind has always seemed pointless because personal taste comes into play, just as it does whenever you ask anyone who was the all-time greatest in music, acting, painting, or dancing. But if you were to make a list of the best-ever Sleight Of Hand or Card Magicians, the name of Ricky Jay — who died yesterday at 72 — would have to be near the top. I first noticed Jay when he appeared on a Doug Henning special in 1976, displaying his card-throwing abilities.Sadly, I never got to see him in person, but over the next few decades, I read several of his books (most of which are now out of print and quite valuable) and was thrilled any time he’d pop up as a guest of Merv Griffin, Arsenio Hall, or David Letterman. In 1993, I devoured the essay Mark Singer wrote about Jay for The New Yorker. While the performances of other prestidigitators can be enjoyed without a syllable being uttered, that was never the best way to view Ricky Jay, because his verbal dexterity was second only to his manual manipulation. While his hands were doing the seemingly impossible, his mouth accompanied them with wonderfully clever verbiage (who else used words like “simulacrum” and “pachydermatous”?). Jay is one of just a few magicians whose work I have admired for many years. He is a master manipulator, both of cards and an audience, with patter so perfectly chosen that it’s only fitting that he be close friends with David Mamet, in whose movies he has appeared more than a half-dozen times (beginning with another title on my list, “House of Games”). “Deceptive Practice” is a documentary about Jay’s life, his work, and the magicians of the past who inspired him.  He has an extensive collection of magic lore dating back centuries, with stories he shares about many of the performers he learned from, including the legendary Dai Vernon and Charlie Miller. The movie includes plenty of footage of Jay performing on television and in his two Broadway shows, both of which were directed by Mamet, as well as at smaller gatherings and lectures. While several people who have worked with him make it clear that he’s not always the nicest guy to be around, that doesn’t deter from the joy of watching Jay wielding a deck of cards. Much of it is simply stunning. “Ricky Jay and His 52 Assistants,” his first Broadway show, which was filmed for a 1996 HBO special. It has never been released as a DVD, but — at least as I write this — it is on YouTube here. 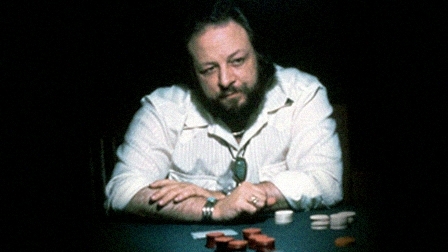 “Ricky Jay Plays Poker,” an odd set that includes a CD of poker-related songs (by Bob Dylan, Patsy Cline, and others) and a DVD of Jay doing card tricks at a poker table for five friends (including John C. Reilly and Willie Garson). That half-hour is on YouTube here. In each of them, you can sense both the glee and irritation Jay brought to the characters, while seeming to reveal the core of his own personality. Here was a man who spent thousands of hours mastering his craft and studying its history, then dumbing it down so that we could understand it and be awed.